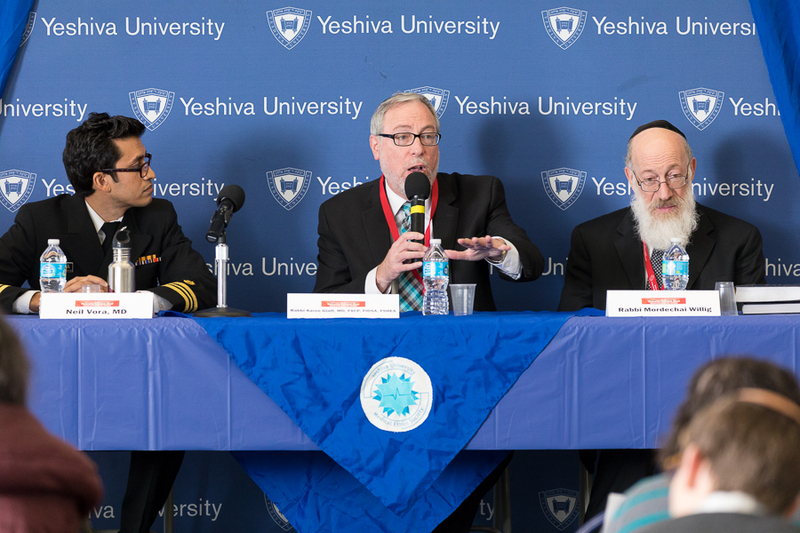 YUConnects, currently celebrating its 282nd engagement, usually hosts between ten and twelve social events a year; this year, however, they have expanded internationally! 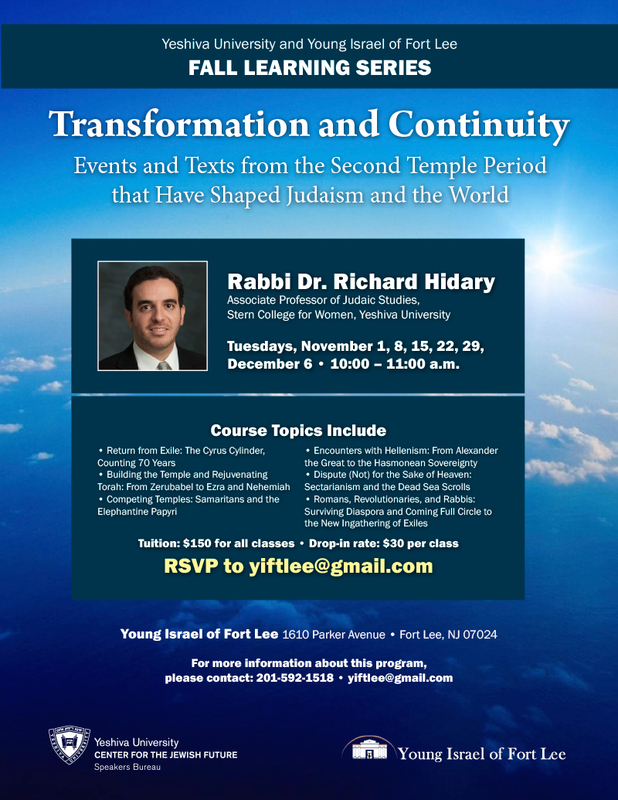 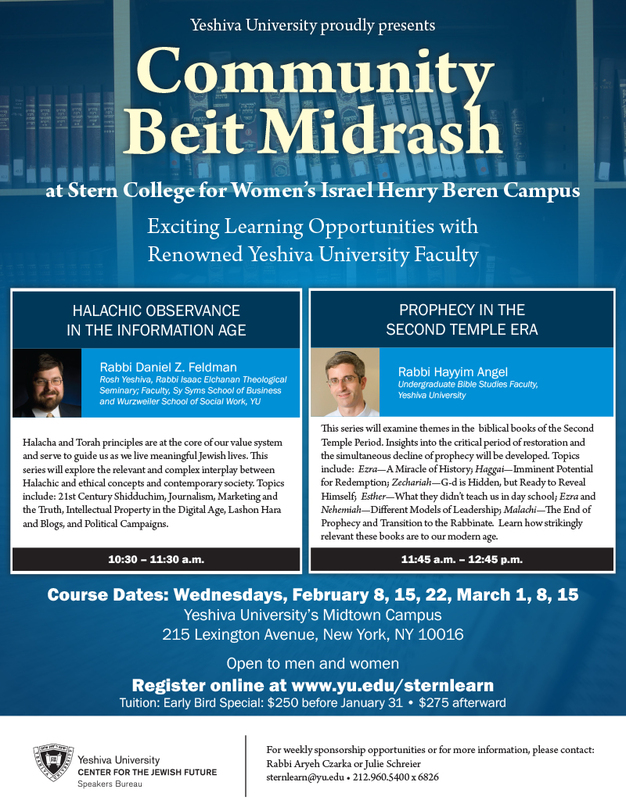 In a similar model to the Community Beit Medrash, the Young Israel of Fort Lee has been running their own scholarly lecture series in conjunction with the CJF. 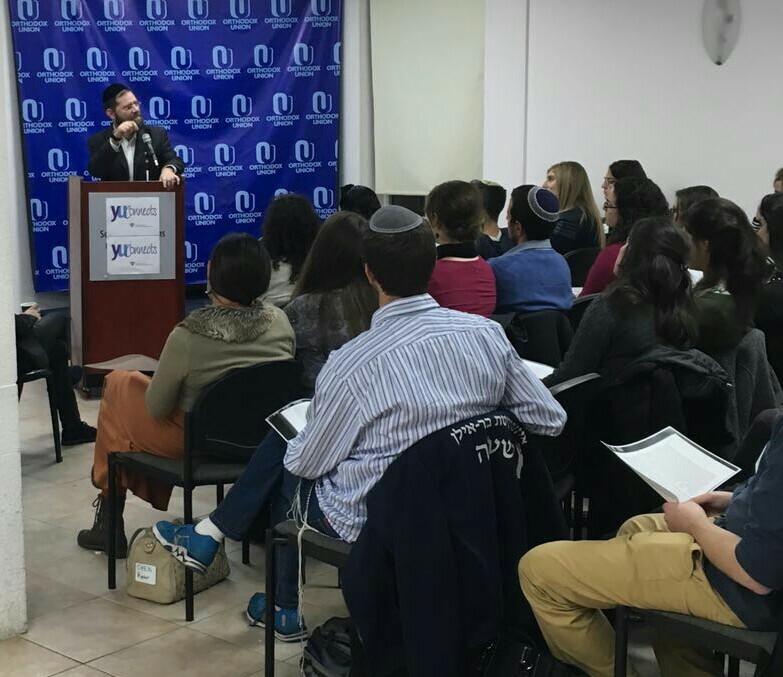 This past semester, in its’ inaugural program, Dr. Daniel Reinholz discussed the Rambam’s guide to perplexed in four enlightening sessions.